Am hoping that this is the season everyone has being waiting for, and to make it more exciting for us all, who are internet lovers. 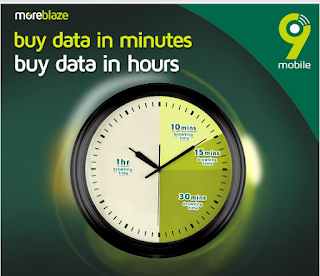 9mobile has introduced yet again another exciting data plan to all their fans and Internet data subscribers on their lovely network, this special offer is called More Blaze On which you can use in doing every unlimited browsing and downloading, in a packed timed based data plan for fast downloads of heavy files, videos, watch movies and so much more. 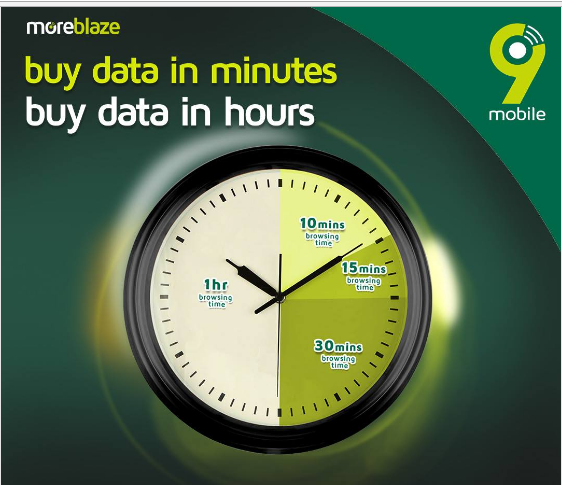 We all know how fast consuming mobile data is when downloading or streaming videos or files and that’s why 9mobile introduced this for us to enjoy unlimited time based data with the BlazeOn App on our Smartphone’s phones. you can download your moreblazon app . click on install, thats all you need. data in minutes. now you can buy time based plans just for when you need it. 10mins, 15mins, 30mins & 1 hour. With the app, you get alerted when you are running low on your time plan. enjoy free download or get it from play store. Share the news, it works for everyone.